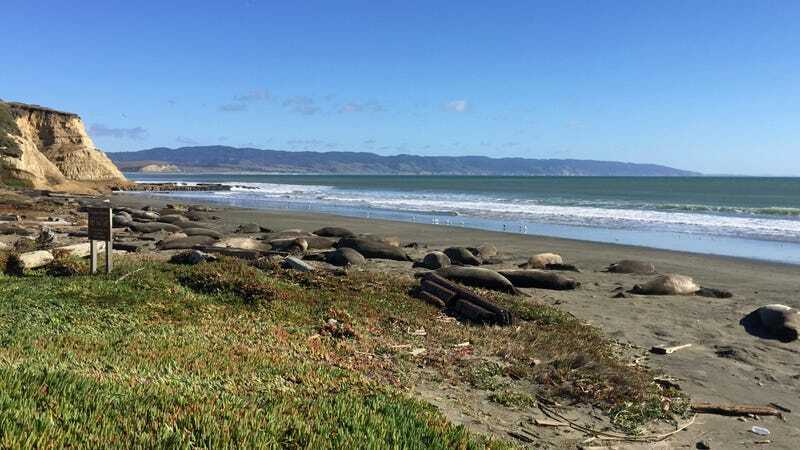 Behold, the elephant seal invaders. A northern California beach has been invaded by strange creatures. They awkwardly waddle with their long, slinky noses hung high. About 60 of them have been lounging on the sandy shores of the Point Reyes National Seashore near San Francisco with their mini-mes. 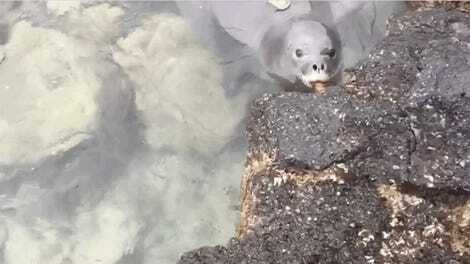 These aren’t any ordinary beasts—they’re elephant seals. Though not the seals that have made this beach home, these seals display the famous long nose for which the species is known. Park officials are considering offering guided tours so that the public can bear witness to these extraordinary animals. That sounds a lot easier than getting the seals to move. Thank you, government shutdown, for this one delight.